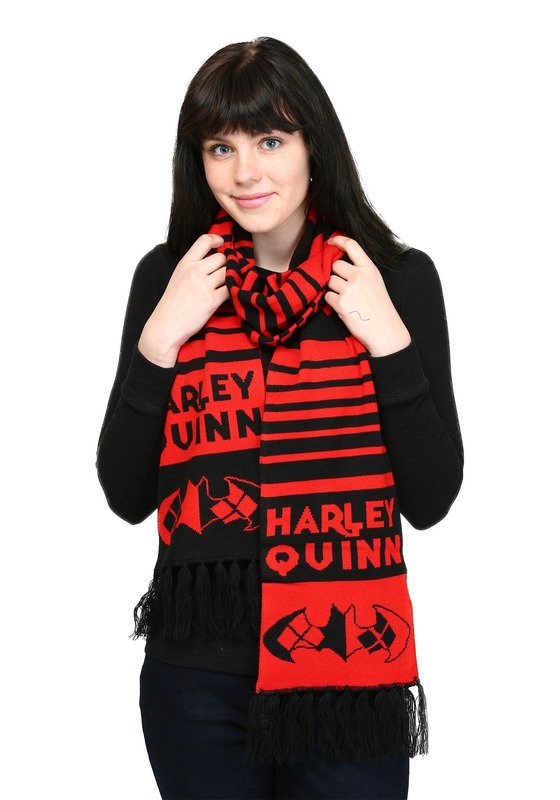 The 100% acrylic Harley Quinn Logo & Symbols Scarf measures 80 inches long and combines the Harley Quinn color scheme with some Batman symbols! I guess you have all your bases covered, hmm? 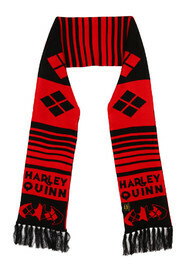 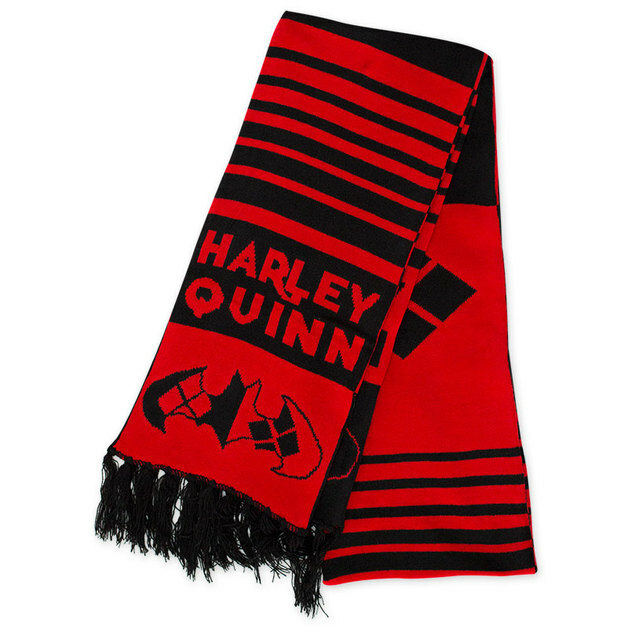 Ideal for staying warm through the powers of insanity(thanks, Joker), the Harley Quinn Logo & Symbols Scarf is way cooler than any other scarf you may or may not have.